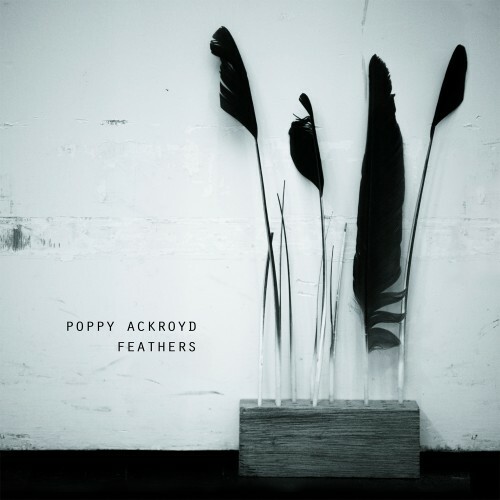 When the Scottish girl Poppy Ackroyd climbs behind her piano pure beauty will rise into the air. The first album ‘Escapement’ was her first step in the music world. That album was extended with live visuals on a DVD and ‘Feathers’ is her second album. As you see her playing live, lots of loops are used to create a beat or textures behind the piano or violin sounds. With one foot in the classical music genre and the other in the future she creates a fresh mix of neo-classical music and postrock. She doesn’t have to sing to keep the uplifting atmosphere going. Her biggest benefits in contrary to other neo-classical artists such as Olafur Arnalds or Nils Frahm are the positive and hopeful moments in the music. Seeing her playing live and introducing the songs with a smile so is the music giving you goose bumps when you listen the new record at home. Sometimes a bit dramatic with the cello tunes accompanying the piano in the title song; in the end the song is turning around into hopeful brighter moments. Compared to the old album the new songs have stronger melodies and are all connected together so you directly pick up the flow of the album. Highlights in this manner are the three songs “Roads”, “Croft” and “Taskin”. Not far away is always a subtle beat to keep the pace going and these songs give you feelings of the perfect holiday watching out over a beautiful lake, walking at the sea shore or climbing in the mountains. “Birdwoman” is ending the record in a perfect way. The circle is closed and Poppy Ackroyd proves she can convince with only piano sounds. A moment of stillness is left. Let’s hope the artist steps out of the unknown with ‘Feathers’ because the album need to be heard by more people into neoclassical music.